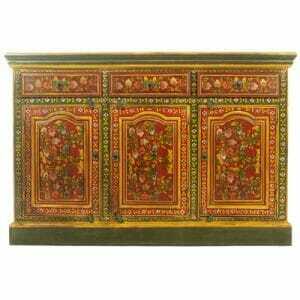 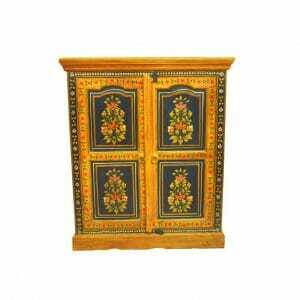 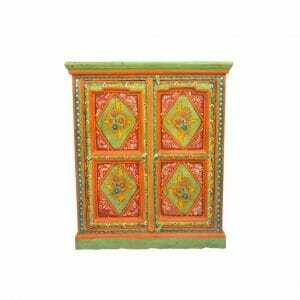 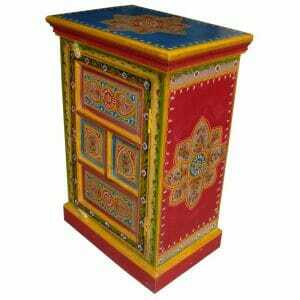 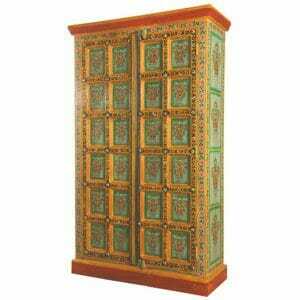 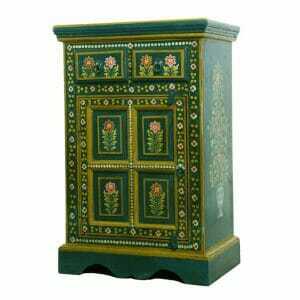 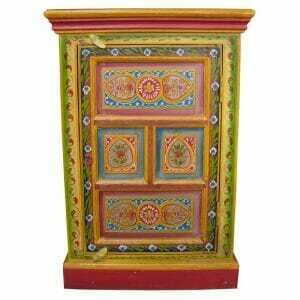 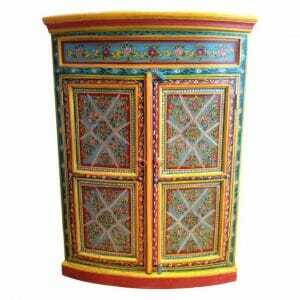 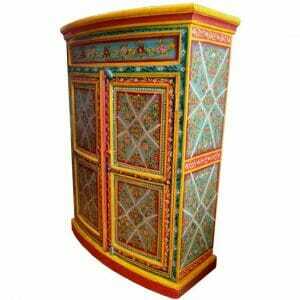 Richly detailed with hand-painted floral designs, this orange pankhuri side cabinet provides an aura of Indian vibrance to any space. An heirloom in the making, the bright oranges, reds and blues evoke the sights and sounds of an Indian summer, making this piece one that is sure to be loved for generations to come. 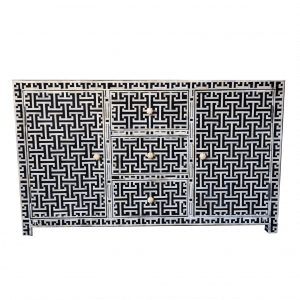 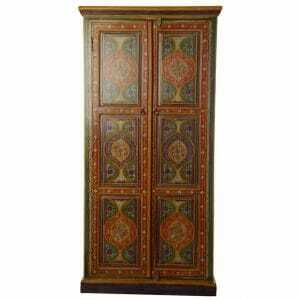 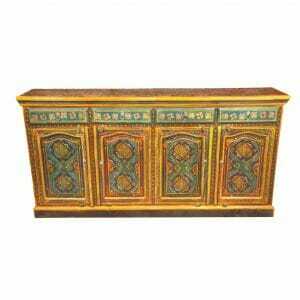 This Indian cabinet features two drawers, two doors, and two inner shelves, making this perfect for almost all of your storage needs, and would provide a beautiful accent to any room. 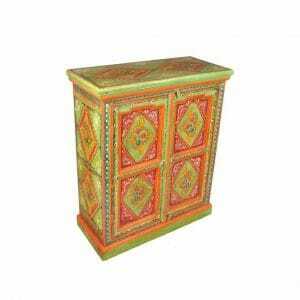 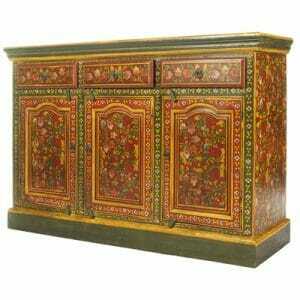 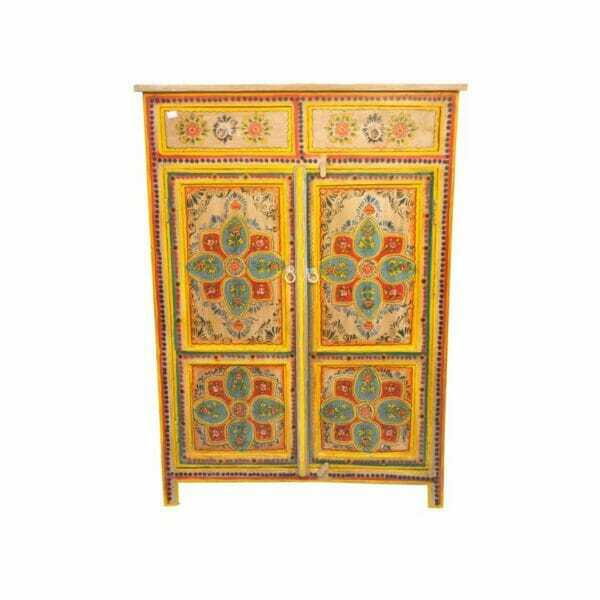 Durably crafted from sturdy mango or sheesham wood and lovingly hand painted by our Indian artisans, this piece is as long-lasting as it is delightful, and will endure for years to come. 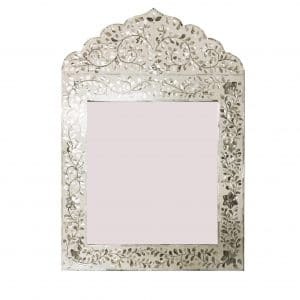 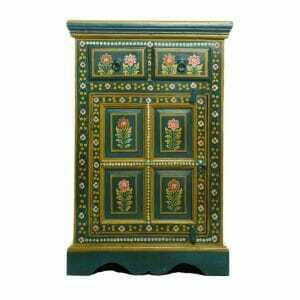 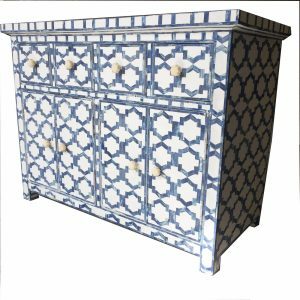 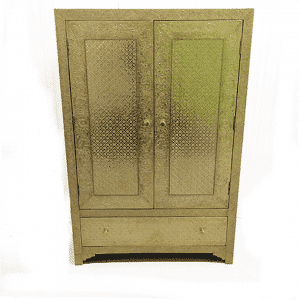 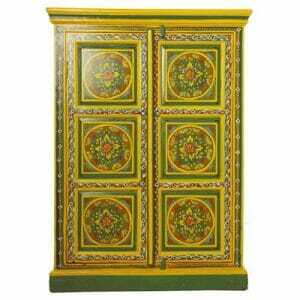 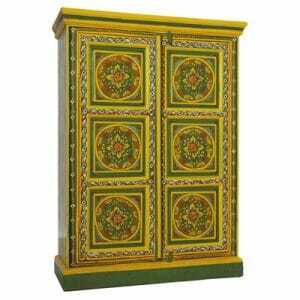 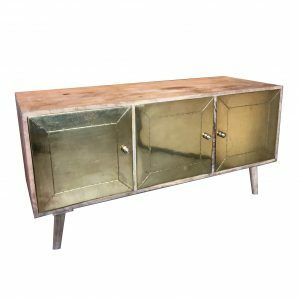 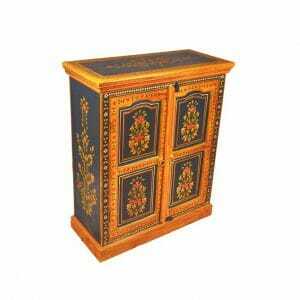 We are sure you will love our pankhuri side cabinet, but if you would like this piece in a specific design or colour scheme, simply let us know so we can place a bespoke order for you. 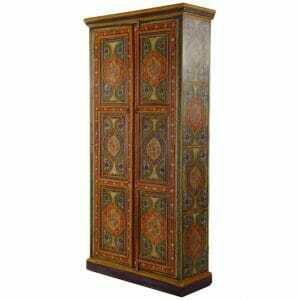 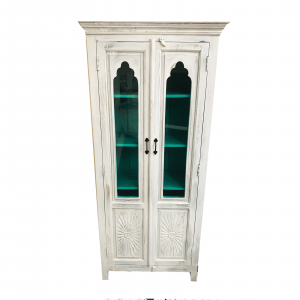 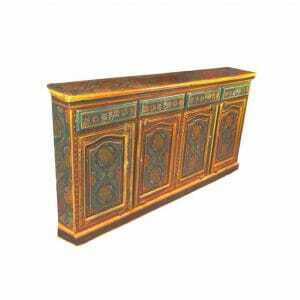 We also regularly place custom orders for items to be built to specific dimensions, so do not hesitate to contact us today if you would like this beautiful side cabinet in a particular size. 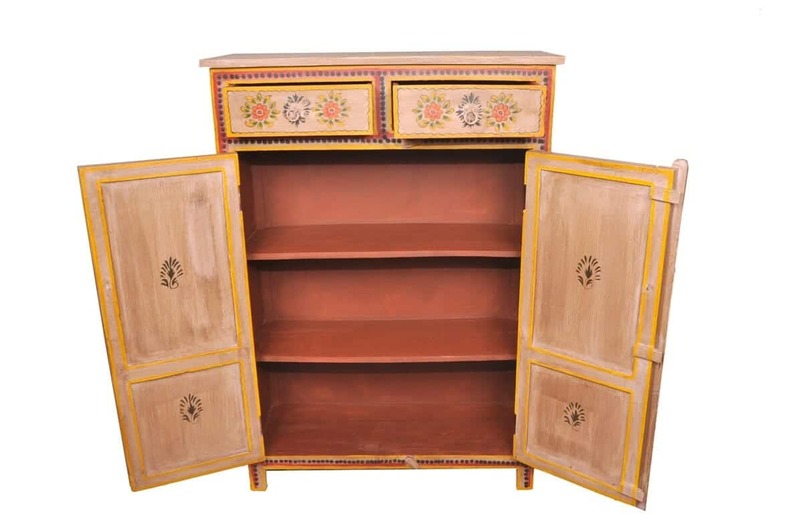 All of the wood used in the crafting of this item has been sustainably farmed in India. 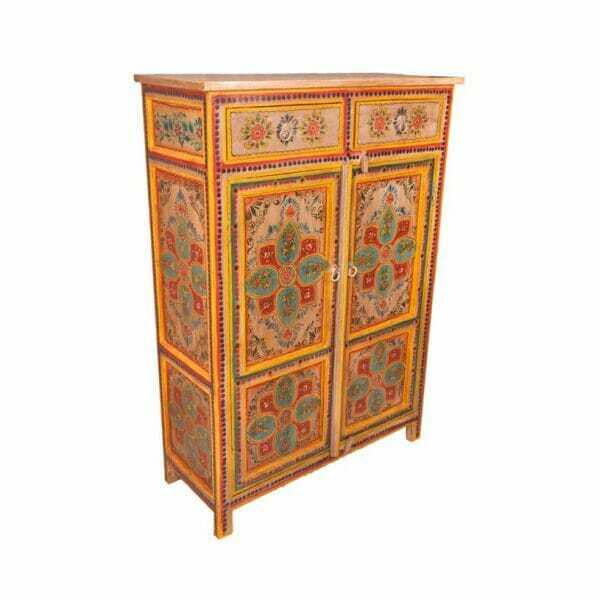 Iris Furnishing is dedicated to promoting values of environmental sustainability and ethical trade, and promotes these values by personally traveling to the Rajasthan region of India to meet with our woodworkers and furniture suppliers face to face. 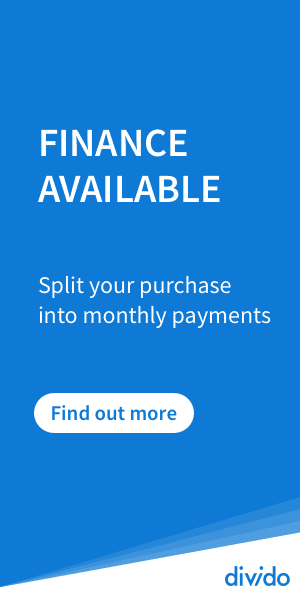 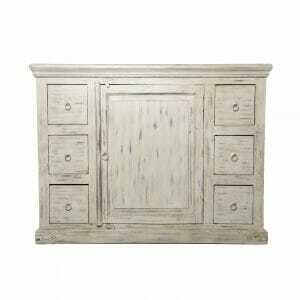 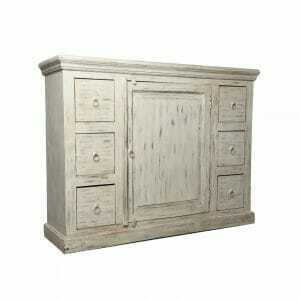 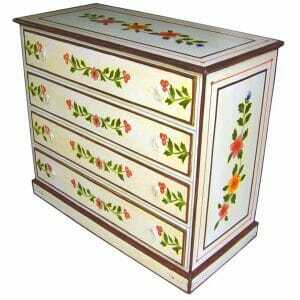 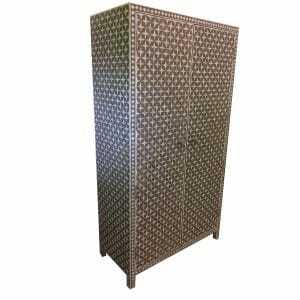 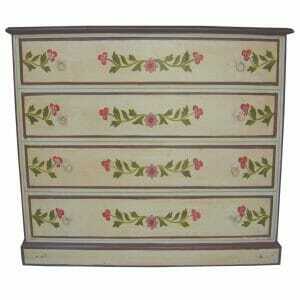 You can rest assured that our furniture is both ethically sourced and of the highest quality available.